Posted by wallofsound in Music Radio. 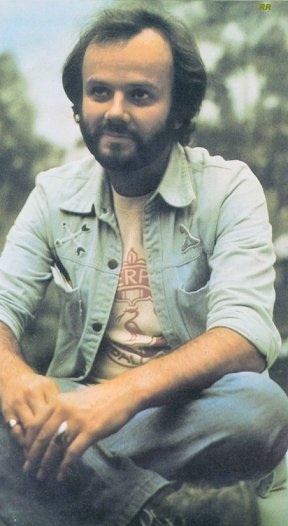 It is now thirty years ago that, as a student broadcaster, I interviewed John Peel, the BBC radio DJ. He had just turned 40, and I was 21; and at the time (and probably since) he was a major model for me of how music radio could be done: diverse in his tastes, occasionally challenging, and passionate about music. I am not sure where the years have gone since, but when the opportunity to reflect on music radio (and the place it has taken in my life for three decades) presented itself I could not refuse. I recorded this interview on 22nd February 1980 in the studios of Radio Bailrigg at Lancaster University. I was in my final year of what I told everyone was a three-year undergraduate degree in Economics and Philosophy, but which for me was primarily the opportunity to be part of a team running a radio station, and working out what music radio was and could be. The fact that I didn’t pay full attention to my formal studies, and instead worked long hours in the radio station, turned out to be quite a good move. I ended up a professor of radio and popular music studies, rather than a philosophising economist. My Peel interview was just one of dozens I did while a student broadcaster. I was keen to learn all the skills associated with programme-making, and I tried to take advantage of every opening to conduct an interview and turn it into a programme. Most of the interviews were of musicians – a range from British chanteur Jake Thackery, through blues duo Sonny Terry and Brownie McGhee and reggae toaster and producer Mikey Dread, to then chart favourites like The Stranglers, The Clash, The Selector, Graham Parker, and neo doo-wop-ers Darts – but I’d also interview political and cultural ‘talking heads’. The interview I remember most vividly, though, was with John Peel. I’ve got many of these interview on reel-to-reel tape in my loft, but pulled this one out after Peel’s death. I’d been telling my colleagues about the interview as we reminisced about his shows and impact on our musical taste. I wondered what it actually sounded like. I remember it going really well. I have often been known to berate my students for not taking risks, for not taking advantage of opportunities, and not practicing their radio skills. What if I sounded like a right dunce; where would my credibility be then? I am indebted to Sam Coley who digitised the recording (when I kept saying I would get round to it, but never did) and tightened it up a bit, so any fluffs were not apparent to the modern listener. My approach with Peel was the standard one: door step and persuade. Maybe I hadn’t even understood that you had to make arrangements to do interviews in advance, or maybe I just figured that wouldn’t work. So I’d just hang out at the venue where my mark was appearing; and then when they arrived I’d introduce myself and ask if they’d do an interview. Peel was visiting the university to do one of his ‘playing records’ appearances that he tended to depreciate, but clearly loved doing. 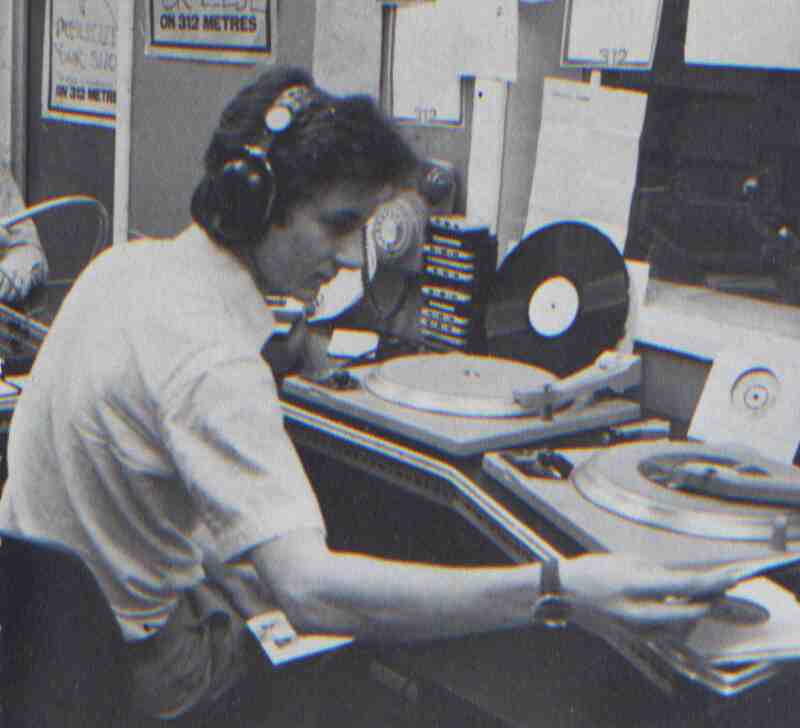 These appearances had some relationship to being a club DJ, but as Peel made such a thing out of not being able to use the equipment properly, and just pulled records out of a box, put them on (sometimes at the beginning) and sometimes said something about liking them, the link was tenuous. I seem to remember having something vaguely to do with setting up his visit, but it probably went no further than just saying that it was a great idea and asking “can I interview him?” Anyway, it meant that I knew when he was arriving, and when he got out of the car I pounced offering food and drink in exchange for an interview. When I explained we had a student radio station he agreed to come to the studios to look round. It would be hard to oversell what a big deal this was for student broadcasters. For those of us with an interest in music Peel represented everything we thought was good in music radio when there was only Radio 1 and 2; under ten commercial stations and a smattering of BBC local stations, and yet it all sounded formulaic. The word therefore soon got round that I had John Peel in the studio, and pretty quickly you couldn’t see the studio. In fact, I can remember almost everything about the hour or so he was there. I have a canny ability to be able to capture visual memories (although I can never remember the simplest piece of verbal information). I can still see (in my mind’s eye) the people who were in the studio (even though I can’t quite recall their names), and you’ll hear them in the background even though I was glaring to try and silence them. I am quite amused by some of my questioning, and with the anti-capitalist position I’m taking in a interview with a radio DJ! He’d clearly answered questions like these a hundred times, but he was nice enough to say that he’d enjoyed the experience at the end. He was pretty easy to interview because you just needed to light the blue touch paper and sit back, but I still thought I threw in a few provocations. So here it is: the results of the day I interviewed John Peel. Some of that stuff about the record companies sounds so prophet of the mess their in now. Great interview.